If you have been looking to add some farmhouse style decor to your home without completely wrecking your budget, I have put together this list just for you! The greatest thing about decorating is you really don’t have to spend a fortune to make a big impact in your space. By changing just a few things, like wall decor or pillow covers, you can completely change the look of a room! 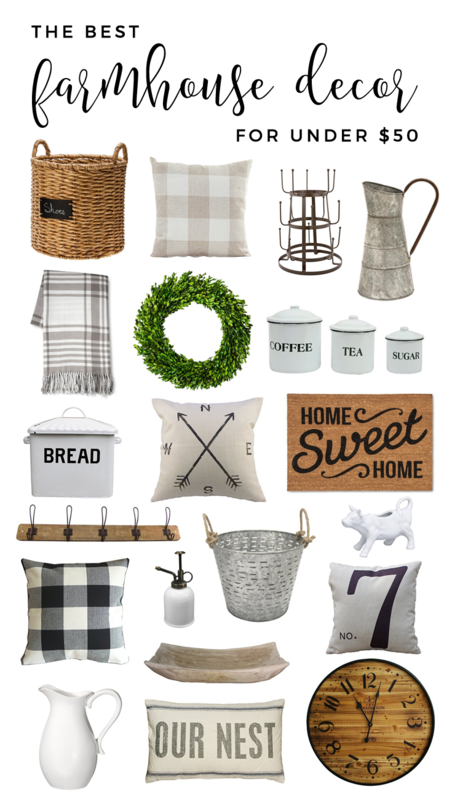 Here is a list I put together of some of my favorite farmhouse finds from Amazon (who doesn’t love Amazon?!) and Target (my happy place!) for under $50!